Welcome to HR & Payroll at Detroit Mercy! We work to provide as much information as possible on a wide variety of topics including benefits, holidays and vacations, tax information and employment opportunities. We welcome suggestions for links and services that members of the Detroit Mercy community would like to see in the future. Please feel free to email suggestions to us. We will also respond to requests received through the site. The mission of the Human Resources and Payroll Department, a collaborative team of dedicated professionals, is to provide remarkable customer service while maintaining a confidential environment; providing accurate information, valuable assistance and a positive outcome that aligns with the mission of Detroit Mercy. Interested in working at University of Detroit Mercy? Click to see current openings! It is the responsibility of Detroit Mercy employees to familiarize and comply with the information outlined in the policies and procedures provided on this website. University of Detroit Mercy reserves the right to modify any provisions of these policies & procedures at any time. The most current version of a policy & procedure will be found online. Any copies (print or online) of policies or procedures that are inconsistent with the official version hosted on this site, including printed versions of the employee handbook, should be disregarded. Employees of collective bargaining units should adhere to policy and procedure language in their union contract first. If they union contract is silent, adhere to the University policies and procedures as listed on this website. If you have any questions or concerns, do not hesitate to contact the Payroll Department. 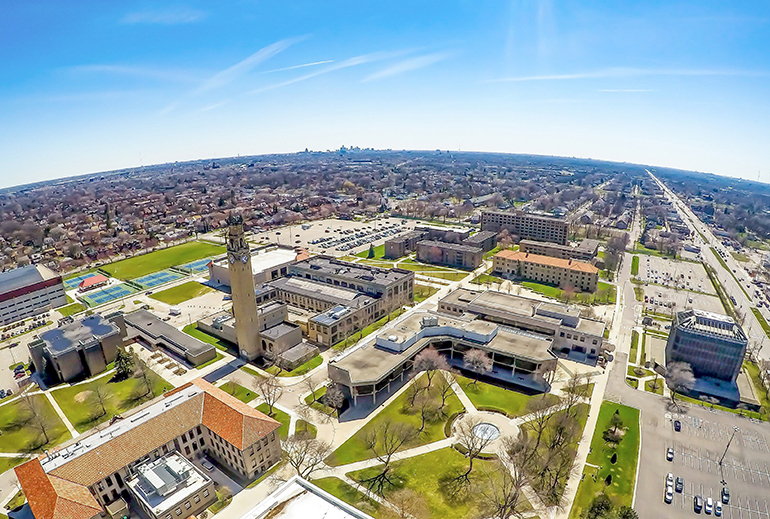 PCS is designed to help non-union employees understand their roles and expectations and participate in the improvement of University of Detroit Mercy through improved communication. The PCS program promotes open, honest, direct, and ongoing dialogue in regard to performance. Employees and supervisors are partners in this discussion and should approach PCS conversations expecting to learn from one another. In the end, effective dialogue will increase employee motivation and commitment to their position and University community.